Consistent results define quality saliva testing. Salimetrics has now established a Center of Excellence program for saliva laboratories around the world so that researchers can be assured of accurate results in their saliva testing. The Salimetrics Center of Excellence Program features saliva testing laboratories who meet the high standards of precision and accuracy set by The Salimetrics Saliva Testing Laboratory. Each laboratory receives certification as a Center of Excellence and is formally listed on the Salimetrics website as an approved saliva testing lab. ...many factors can affect the quality of assay results once saliva samples have arrived at the testing laboratory. 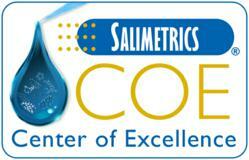 As part of its mission to promote credible scientific research through saliva testing, Salimetrics has developed a Center of Excellence (COE) Laboratory Program. This program is designed to identify and promote qualified saliva testing laboratories in multiple geographical regions around the world. Laboratories who demonstrate their proficiency by participating in the Salimetrics Saliva Proficiency Program and who are committed to the overall goal of elevating saliva testing standards will receive certification and support from Salimetrics. Benefits include formal listing on the Salimetrics website as a COE Lab; publicity through Salimetrics workshops, conferences, and informal contacts; access to the latest technical information and product updates from Salimetrics; and direct communications with the Salimetrics Laboratory, the Johns Hopkins University Center for Interdisciplinary Salivary Bioscience Research, and other Centers of Excellence. Each COE lab uses Salimetrics assay kits, which are recognized as the high-quality standard for salivary research. COE labs also participate in Salimetrics’ educational programs on saliva and saliva testing by serving as host sites for Salimetrics Spit Camp sessions. COE labs will receive educational materials and training support which will enable them to present these two-day training sessions that feature lectures on the use of saliva a testing fluid and introductory training on procedures and equipment needed to collect saliva samples and perform immunoassays. Founded in 1998, Salimetrics, LLC supports researchers, the immunodiagnostic industry, and functional testing laboratories around the world with innovative salivary immunoassay products and services. Salimetrics’ assay kits and CLIA-certified testing services measure biomarkers related to stress, behavior and development, inflammation, and immune function, including: alpha-amylase, androstenedione, blood contamination, chromogranin A, cortisol, cotinine, C-reactive protein, DHEA, DHEA-S, estradiol, estriol, estrone, IL-1b, IL-6, melatonin, progesterone, 17α-hydroxyprogesterone, secretory IgA, testosterone, and TNF-a. Salimetrics also provides salivary DNA analysis. The company is based in State College, Pennsylvania, with offices in the UK and distributors around the world. For more information, visit Salimetrics on the web at http://www.salimetrics.com.